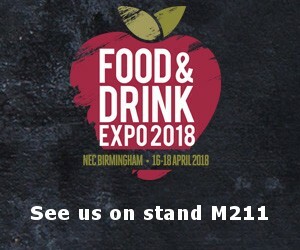 Food & Drink Expo provides the number one route to the UK food & drink market, attracting buyers and decision makers from across the whole [food & drink] industry. Held at the NEC in Birmingham, the 2018 show is expecting 1500 exhibitors and 30,000 visitors over the three days, 16th – 18th April. The Creamery is famous for its award-winning Yorkshire Wensleydale cheese, which has European Protected Food Name status in the form of PGI, as well as its original creation, Yorkshire Wensleydale & Cranberries cheese; a cheese so popular it has been copied by manufacturers across the UK and beyond since its origination over 20 years ago. In the last three years, The Wensleydale Creamery has entered the wider dairy category, with the launch of Yorkshire Yogurt, Yorkshire Butter, and the soon-to-launch Yorkshire Brie, and has invested heavily in its new dairy and cheese slicing & cutting technology, to support The Creamery’s ambitious growth plans. Sandra Bell, Marketing Manager, said: “Food Expo is a fantastic platform for us to showcase our range of handcrafted cheeses, butter and yogurt to buyers, manufacturers, wholesalers, and speciality retail; we’ve got some exciting things in the pipeline. The Wensleydale Creamery will be on stand M211 at Food Expo, sampling its product range, as well as some delicious foods that have been made using its cheeses.